In honor of my friend who had her first baby yesterday, I am sharing with you the adorable burp cloths I made little Evelyn (love that name). 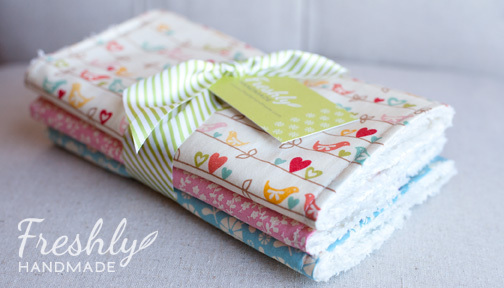 This set of three is made from designer quilting cotton and ultra soft cotton chenille. 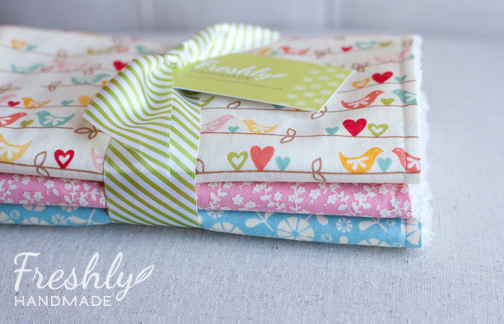 These burp cloths are super absorbent for all of baby's little (or big) spit-ups. And, they are super cute! A perfect handmade gift for the new mom. Happy Valentine's Day! 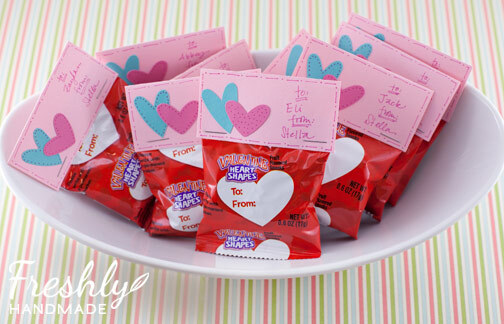 My kids and I have been busy creating Valentine treats for their classmates, friends and teachers. 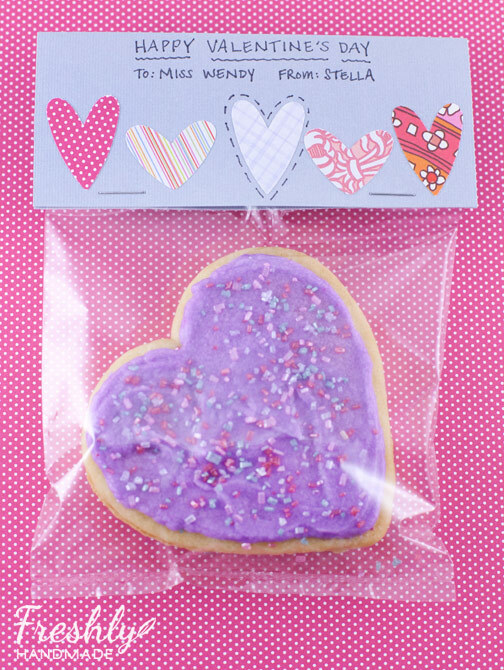 It's policy to buy treats for the kids at school instead of making them, so we created personalized tags to attach to the treats for a bit of handmade goodness. 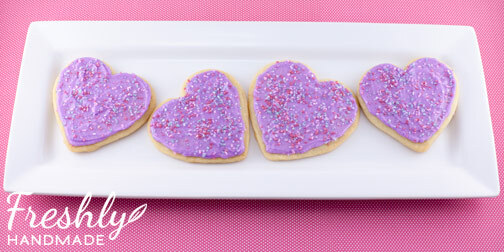 For our special friends and teachers, we made heart shaped cut-out cookies (my fave as we all know). See my cookie recipe in this post. The kids helped sprinkle colorful sugar on top. 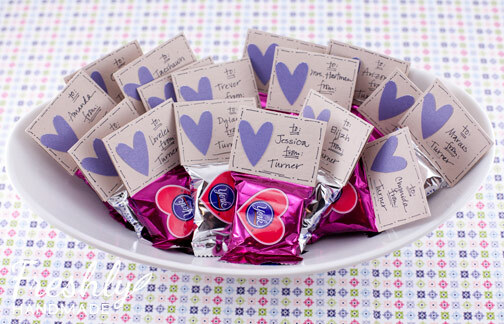 We bagged them up and personalized them with cute heart tags using a variety of decorative papers. 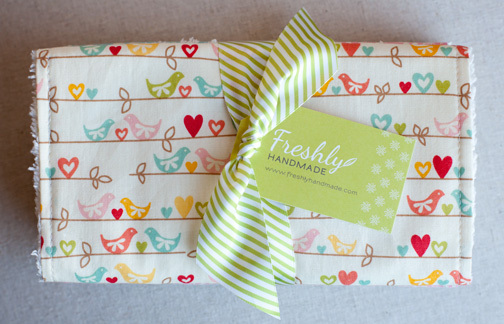 Did you receive or make any handmade Valentine's Day gifts? Yay, it's Friday! 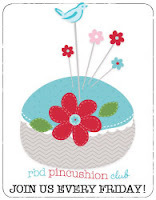 Today, I am thrilled to share my Necklace Box Pin Cushion tutorial over at Riley Blake Designs Cutting Corners blog where a new pin cushion tutorial is featured each Friday. 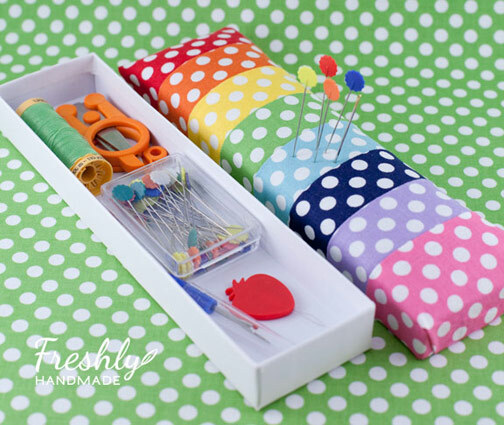 I wanted to make a pin cushion that would also carry the essential notions that I need when I am hand-sewing quilt binding. 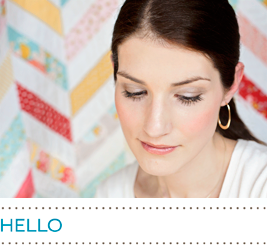 I often do this outside my sewing studio and find myself fumbling with or losing my notions. 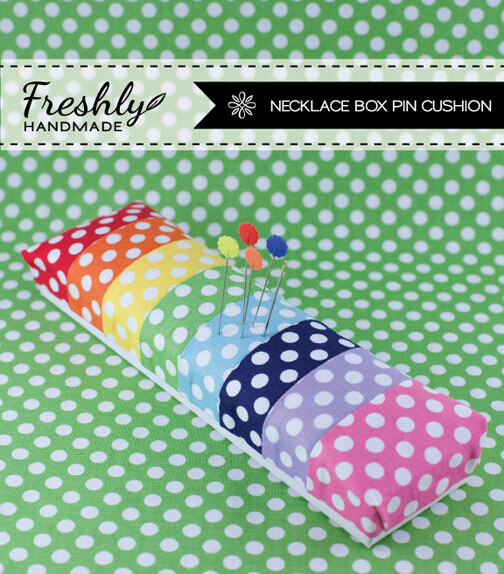 I used Riley Blake's small dot cotton fabric in a rainbow of colors, but this design lends itself to any fabric combination. 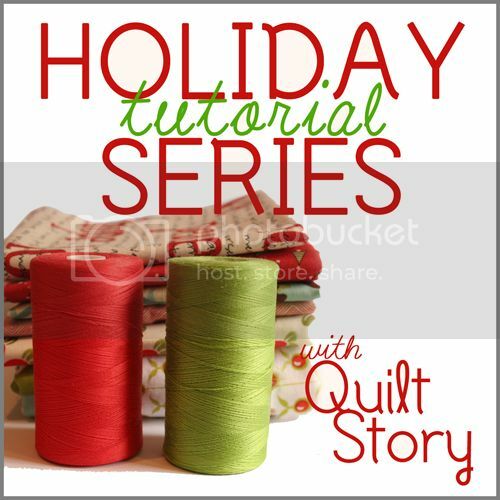 I hope you'll check out the tutorial and even make one of your own. If you do, I'd love to hear from you.